2018 was a good year. The most notable project was a sale leaseback of a corporate headquarters and flagship retail location in Chicago, Illinois. The client was looking to liquidate cash to expand the brand. I assisted in the leasing structure and was able to secure an offer that was a million dollars over the asking price due to high demand and the buyers need to maximize their 1031 exchange. 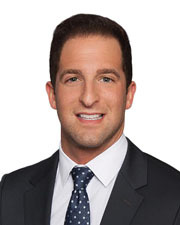 In August, I was honored and please to join Avison Young as a Senior Director and Head of Net Lease Investment Sales out of the firm’s New York City office. The company’s growth has been very impressive. The firm’s core philosophy of putting the client and community first is aligned with my own values and a breath of fresh air in the industry. 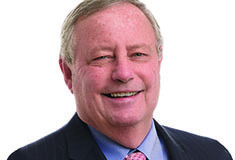 The net lease investor can expect cap rates to remain stable over the near term. While the industrial sector will continue to grow, slight increases can be expected in the office and retail sectors in the coming months. Rising interest rates are expected to push cap rates up slowly, and prospective retail buyers will be able to capitalize on a rising cap rate environment as sellers begin to understand the market and drop prices accordingly. This will lead to an uptick in closed transactions, and increased absorption of the backlog of retail properties currently available on the market. The demand for distribution centers and medical retail properties have skyrocketed given that one is e-commerce dependent and the other is e-commerce resistant. My transition to Avison Young. The firm has hired me to help expand the Net Lease Investment Sales platform across the United States, a $55 billion real estate sector that is somewhat overlooked due to its relatively small deal transaction size. The fantastic opportunity led me to New York to help build a single, unified sales team that is compensated on every deal to promote teamwork and ensures that our client’s listings are shared throughout. It’s a unique platform that differs from many of our competitors structures. Continue to build a platform that is unique to our industry by having a single, unified sales team to work on our clients’ transactions and offer the best, full service support.